Segway Tasmania offers fully guided tours at a range of iconic Tasmanian scenic destinations for individuals and groups. 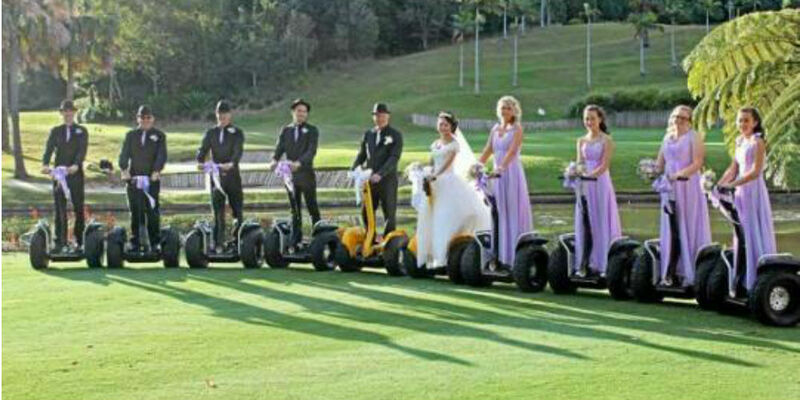 The Segways are easy to master and offer an exhilarating, addictive and off the charts fun experience! Segway Tasmania offers fully guided tours at a range of iconic Tasmanian scenic destinations for individuals, families and groups. A range of tours are available for just $88 per person including our unique Hobart Waterfront tour and the Clarence Foreshore Trail tour. Both of these tours are perfect for visitors to Hobart as they showcase the magnificent scenery and maritime comings and goings of the mighty River Derwent. If you are more in an adventurous frame of mind you will love the opportunity to glide along Kingston Beach, enjoy a true ‘off-road’ bush experience on our purpose built Segway track at The Lea or glide around a rural farm property with breathtaking water views and a myriad of bush and farm tracks and trails at Oyster Cove. Prefer to glide in style and take in the scenery? Then our tour at Dru Point, Margate could be just the thing with bush trails and park tracks winding around the North-West Bay. A gourmet experience more your style? Then you cannot go past our winery tour at Puddleduck Vineyard, in the Coal River Valley near historic Richmond.